THE SWAJA EXPERIENCE. 1984-1990 I wrote a short play in 1988 in which one of my students played a principal who successfully convinced a high school student’s parents transfer him to our SDA church school. Today that student, Nakia Douglas, is now principal of The Obama Male leadership Academy In Dallas, Texas. Our children were taught in an environment of God-fearing teachers who taught and prayed with our children. We taught them to always put God first, learn as much as possible giving God credit for their success. They were taught to be “the consummate professional” in whatever profession they were to choose. I joyfully taught students who asked a lot of questions and saw their eyes light up as they learned. Today, 2014, it’s good to know that Lawyers, Doctors, Preachers, Educators, Entrepreneurs, chemist and other professionals were products of SWAJA’s Christian education. I recall once being asked, “why did you choose to send your daughter to SWAJA?” The response I gave was simple. In my daughter’s most formative years I needed an institution that would continue to give life to the Jesus that she had come to know and love at home. A place where academics and spiritual growth could co-exist. My husband and I have found that at SWAJA and more. What’s the more? It’s the family-like atmosphere. It is the idea of sending your child to a place where talents are cultivated and morals and principles learned at home can continue to be instilled. A place where teachers take the time to understand and address the strengths and weaknesses in their students and work along with parents to meet the needs of every child. So why SWAJA? SWAJA loves our children and waters the fertile land that God placed in them! My experience with SWAJA can be seen through my children and their spiritual growth. Before enrolling my then 6 year old at SWAJA, her academics were commendable, but her spiritual journey was lacking. In a matter of months, I’ve seen my now 9 year daughter’s spiritual, academic and social life soar to a place that I never expected. There is a vigor, a strong interest to read the Bible, to be more loving and kind to others and her sister, that I really give on account to the experience that she is having at SWAJA. She has been deemed our ‘family prayer warrior’, and seeing this growth, this constant happiness in her has led me to be closer with Christ and a desire to be happy as I see my daughter. I have two daughters currently at SWAJA, and I can say that with the world being the way it is now these days, I am thankful and grateful that I have a Christian environment that I can send my children daily, feeling confident that they are receiving all the things that they need not only for this earth, but also for the kingdom of heaven. My relationship with SWAJA began in August of 1983. I was 14 years old and in the 9th grade. Truly the best of my high school years. Although I was a student at City Temple Junior Academy for only one year, the friendships formed during that time have lasted to this day. In 2000, my oldest daughter was a student at City Temple Junior Academy, it was at that time I was asked to join the school board for the first time. Dr. Chip Ates was the chairman. It was at that time that we voted to change the name from City Temple Junior Academy to Southwest Adventist Junior Academy or SWAJA. We wanted the sisterhood of local constituent churches to feel included and involved in what was happening at 1600 Bonnie View. We wanted all to know that we were affiliated with the Southwest Region Conference of Seventh-day Adventists. My youngest daughter has been a student at SWAJA since 2009. My wife and I are products of the SDA educational system. We are staunch proponents of SDA Christian education. We support SWAJA with our presence, finances, and prayers and will continue to do so. At SWAJA I was taught art, math, social studies, science, history, reading and music–in about the same way that you would learn these things in other schools. But at SWAJA I also learned about the Bible, I learned music and hymns, I learned about nature, about Black history and respect for others, and even about community service. These lessons were imprinted in my mind at a very young age by teachers who were concerned as much with my character development as they were about my grades and test scores. Nowadays families are spending tens of thousands of dollars per year to have their kids enrolled in prep schools with small classrooms and attentive teachers. 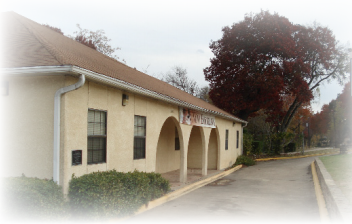 I realize now that I was blessed to have had that experience in this small church school, and at a fraction of the cost. I know a number of former classmates at SWAJA who have gone on to become doctors, lawyers, preachers, teachers, and things beyond our wildest imaginations. I’ve seen God bless so many lives through this school, and I know that He uses it to prepare young minds for future success.